Looking to buy a new car? Sounds great! But don’t you think your car will be unrecognisable in the fleet of thousands when it will be on the road? Well, you’re not alone. Every car owner does face this problem. If you want your car to stand apart on the road, then private number plates can help you out. Now the question arises; How can a personalised number plate help you? 1. Your Name On Your Own Private Plate: When it comes to personalising your car, your own name is something that matters. Because it’s your name which will be shown to everyone. What if your car also has your name imprinted on it? To do so, you can use a combination of both, numbers and alphabets. For example, you can change the ‘A’ in your name to ‘4’ or an ‘E’ to ‘3’. Using the name will personalise your car’s number plate, making heads turn around. 2. Affix Date on the Number Plate: You can even affix your birth date or anniversary on the number plate. These are surely among the most important days of your life. Why not get then affixed on the vehicle? For the date of birth, you can use the phrase like ‘DOB’. For the anniversary, you can use ‘ANV’. This will help you remember the event and keep it fresh for a lifetime. 3. Show Your Profession: Let the world know about it and you don’t need to shout out loud for that. All you need to get a car number plate that tells about your profession. For example, if you’re a chess player, you can get it affixed on the number plate as ‘CH355’ or something like that. This is considered as one of the best ways of personalizing your car with the number plate. When it comes to buying a new number plate, the first thing that strikes the doors of our mind is how to change number plates. It’s not just about the physical change of number plate of your vehicle. The paperwork also plays a major role in the process. In this post, we’ll discuss everything that you need to know about changing number plates. Let’s talk about these two in detail. Before you buy and display a physical set of number plates, consider doing paperwork first. 1. Sending the V5C Logbook: You’ll need to send the V5C logbook to the DVLA along with the correct correspondence to change the registration. If you are changing number plates from one vehicle to another, make sure you send the second V5C along with a completed V317 form. 2. Having Tax & MOT: When you submit your V5C to them, they still need to change your current tax information to the new number plate you are changing. It is mandatory for all vehicles to have tax and MOT if you are changing number plates. 3. Calling Insurance: When changing number plates, consider calling your insurance company so they can update their own records. Keep this in mind that there is no cost involved in doing so but it still depends on your provider. Once you are done doing paperwork registration, its time to display number plates on your car. 1. 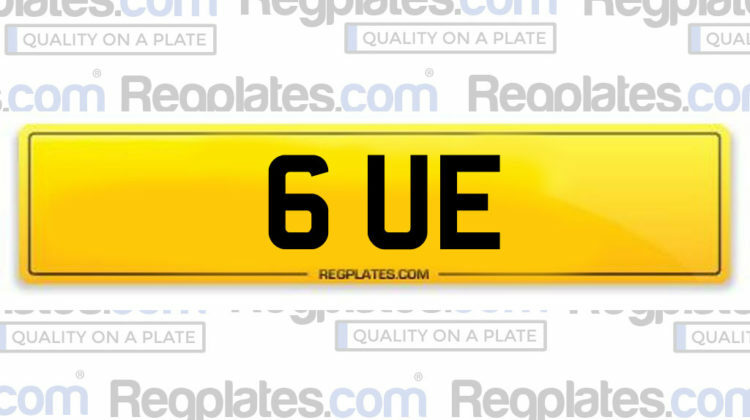 Choose Plates: Buy a set of number plate from any registered supplier by showing your V5C logbook and personal ID. To make your plate look more appealing, opt for extras such as a colored border or a flag. 2. Tool Kit: To attach the number plates on to the vehicle you need to have adhesive pads and tamper-proof security screws. You might consider the tamper-proof security screws if you’re attaching your plate using fastenings. If you are screwing the plates, make sure you unscrew the previous ones, place them over your new set and drill through the same holes. You’re done. 3. Adhere to the Law: When changing plates, you adhere to the law regarding the display of number plates.